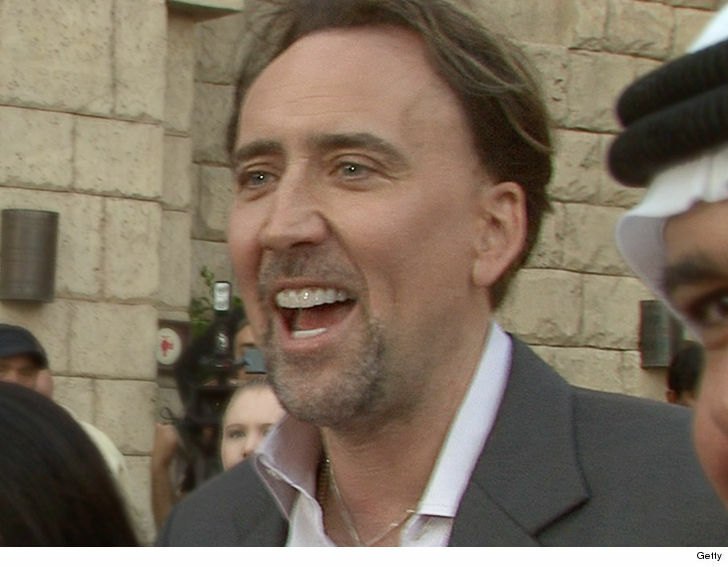 Nicolas Cage‘s facial expression has done it again … and it’s melting the Internet. Nic was in Kazakhstan Sunday attending the opening of the 13th Eurasia International Film Festival … and this picture — posing next to the country’s First Lady — has everyone laughing their asses off. The Oscar winning actor wore a traditional Kazakh robe over a shirt and tie … but it’s his holy-hell-what-have-I-gotten-myself-into-and-where-did-it-all-go-wrong look that’s sparked memes all over social media.